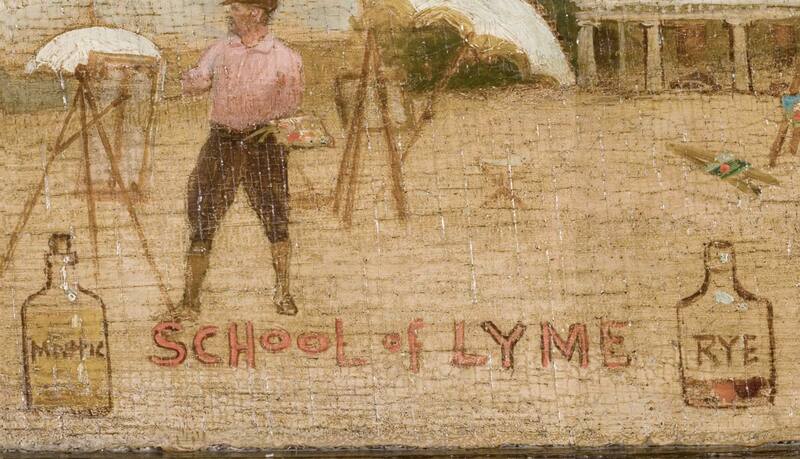 The artist Henry Rankin Poore begins his famous frieze at the far right by identifying the colony as the “School of Lyme” and flanking the words with a bottle of “MASTIC” on one side and a bottle of “RYE” on the other. The Lyme school, by which is meant those who are acknowledged masters of their art, have gathered together by invitation and by gravitation, not more by reason of the unusual advantages of scenery than by a kindred feeling and common understanding as to matters and methods relating to their art. (as well as international) for artists, musicians, and writers to retreat from the modernity of the cities in search of solace and picturesque subject matter in the country. 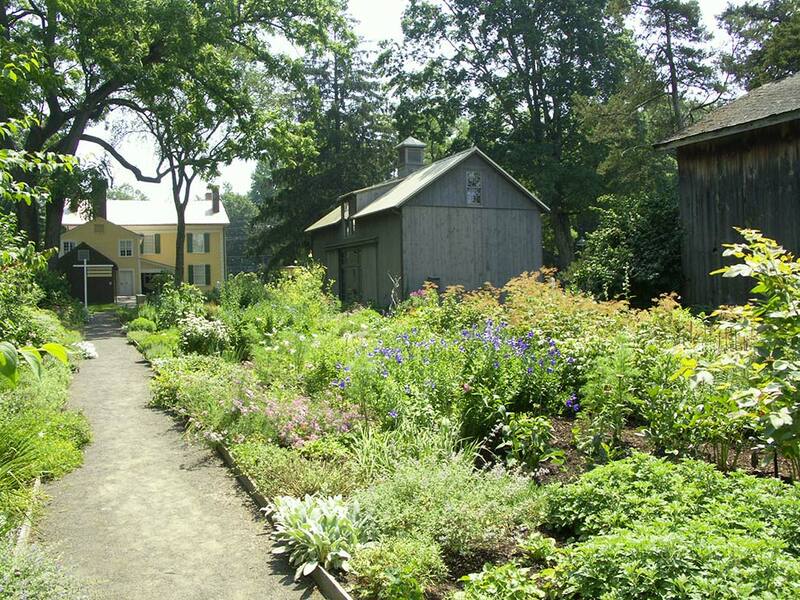 During the last decades of the 19th century and into the 20th century, painting colonies developed across America in such diverse places as Laguna Beach, California; New Hope, Pennsylvania; and Provincetown, Massachusetts. In each instance, the location of the colony provided the same necessary elements: desirable subject matter, access from the city via reliable transportation, inexpensive lodgings, a charismatic leader, and a sympathetic innkeeper. the trains and ferries from New York, the Griswold boardinghouse, the jovial yet often dictatorial Henry Ward Ranger, and, perhaps most importantly, Florence Griswold. 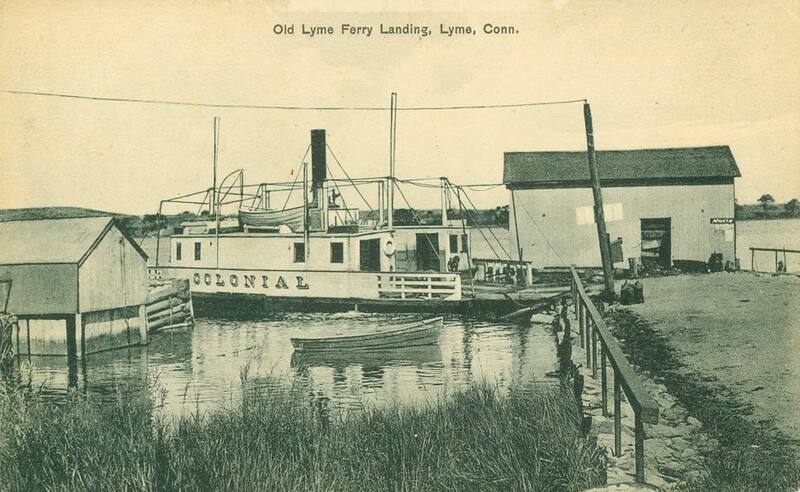 As one boarder put it, “Her optimism was unquenchable and her personality so persuasive that everyone who went there came under her spell.” Indeed, the Lyme Art Colony was to become one of the largest and longest lived of the American art colonies. I know of no colony in Europe, where art colonies are as thick as blackberries, that can compare with it, and I have scoured the country over there pretty thoroughly with my classes. The bottles of “MASTIC” and “RYE” are clever references to the two main activities of the artists while in Old Lyme, namely painting and relaxing. The nearly full bottle of mastic refers to a natural resin that would be mixed into the artists’ paints. The nearly empty bottle of rye refers to rye whiskey, an American-made liquor popular at the turn of the 20th century. Note that the bottle of mastic is corked, whereas the bottle of rye is shown open. 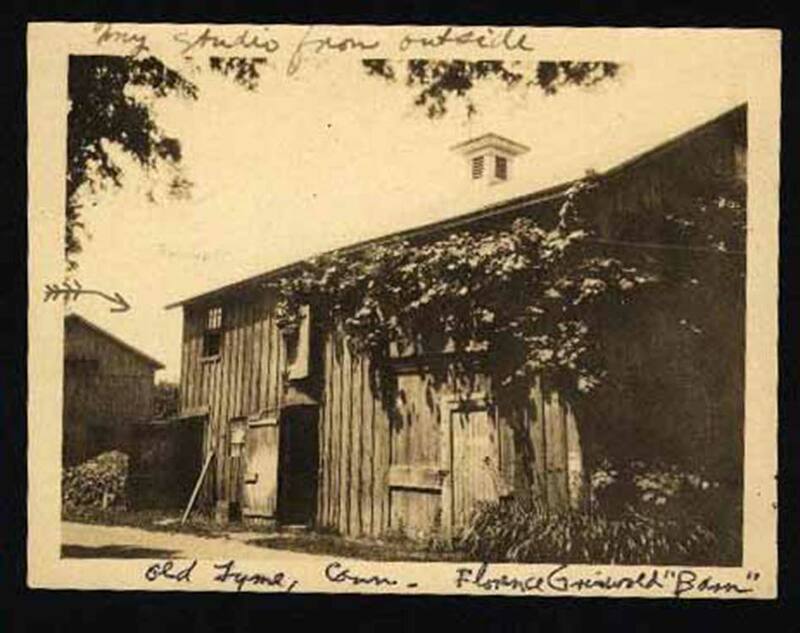 The artists who traveled to Lyme were prepared to paint in the open air (or en plein air) or in one of the makeshift studios fashioned out of the neglected shacks and barns behind the Griswold House. In either case, they were confronted by the immediacy of nature. 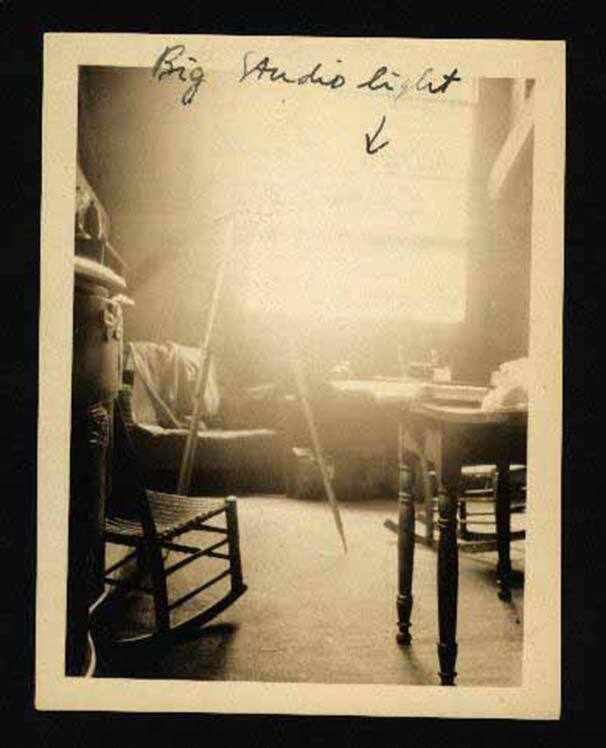 The artists would filter down from their various rooms at breakfast time, usually seven o’clock, to large pots of coffee, plates of eggs and bacon, and bowls of oatmeal, all fortifying ingredients for a day of studio work or outdoor painting. Then they would head off by foot, bike, carriage, or automobile in all directions in search of subject matter. the artists might head to the marshy banks.When autumn turned leaves crimson and gold, they might make their way into the rocky forest. 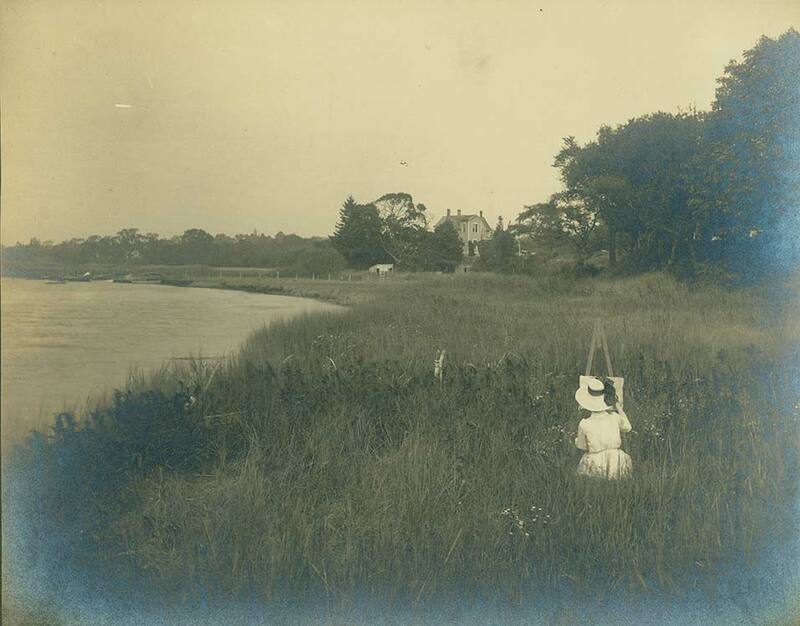 Others would set up just outside the house, where “easels and umbrellas are likely to be found anywhere on the spacious grounds” to capture the sunlight on the river or the many flowers hidden among the tangled vines of Miss Florence’s gardens. often a paint box filled with paints and brushes, a stool, collapsible easel, and wood panels or stretched canvas to paint on. 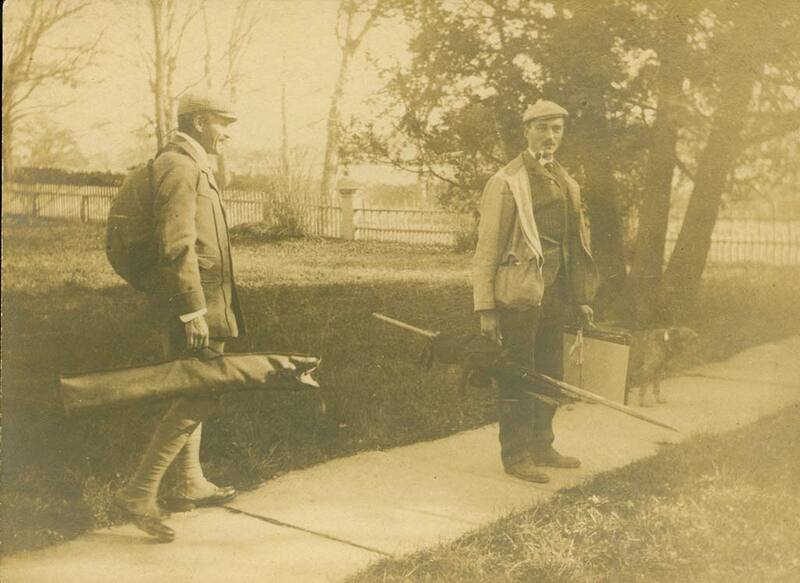 Depending on the weather, they would bring an umbrella for rain or a parasol for sun, along with their sketchbooks. If their subject was beyond the sound of “Whistling Mary’s” lunchtime horn, they would cajole the cook to pack them a picnic lunch and be away for the entire day. If the day was rainy, they might paint from a window, work inside their studio, or wait out the weather with a book. The men in the house always had great discussions about Art during meals, which were very vehement and as the pros and cons for ‘studio painting’ and ‘outdoor painting,’ etc. were discussed, their voices got louder and louder. Every day is so in line with work. 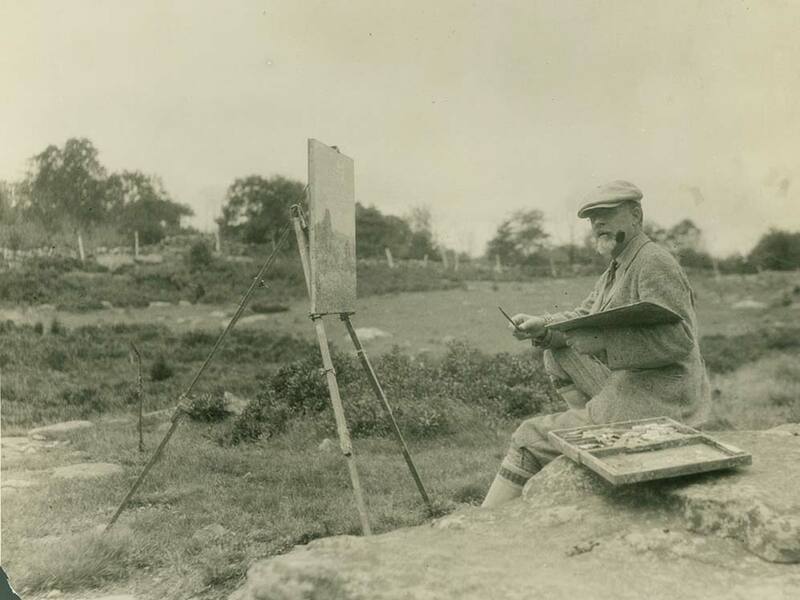 It’s not mere coincidence that the Lyme Art Colony flourished at the same time plein-air painting, or painting outdoors, became popular. 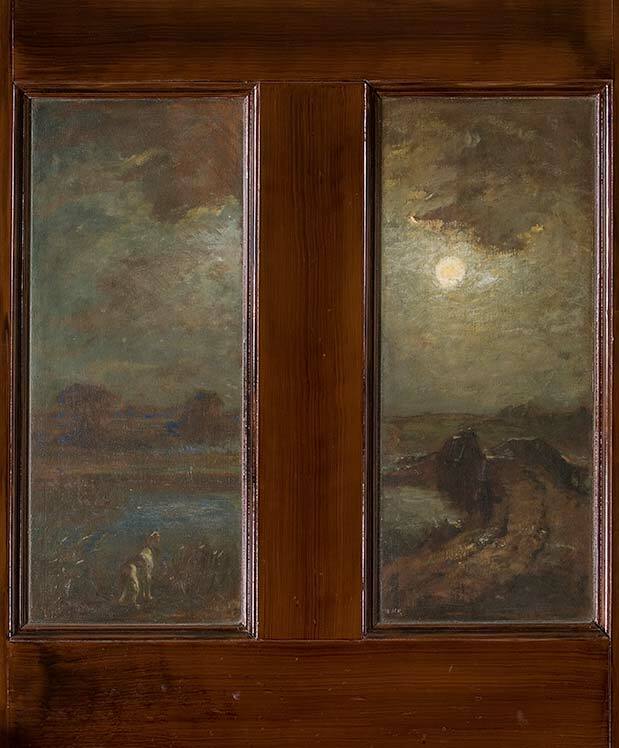 By the end of the 19th century, an artist’s direct and immediate impression of a natural scene was often favored over their re-creating a landscape in their studio from sketches and memory. 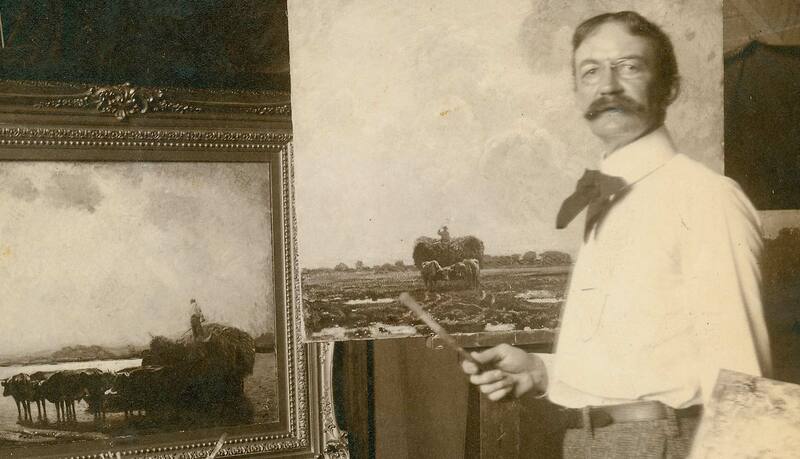 To be closer to the desired subject matter the artists left their studios in the city and headed out to the country. Once there, they tended to congregate in the inns and boardinghouses available in the small villages and rural outposts. 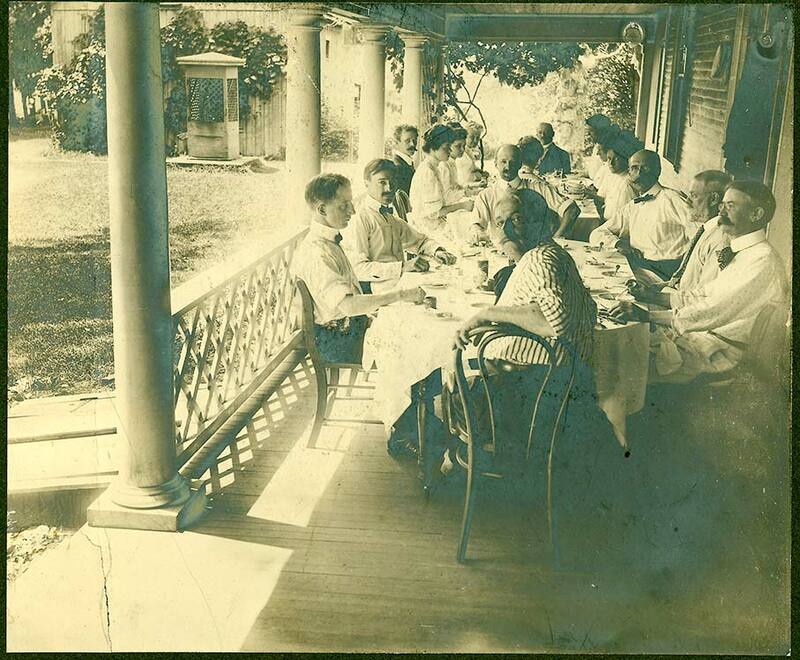 Old Lyme quickly became a preferred destination for many of these artists, and the Griswold boardinghouse and the surrounding grounds were perfectly suited to their needs. 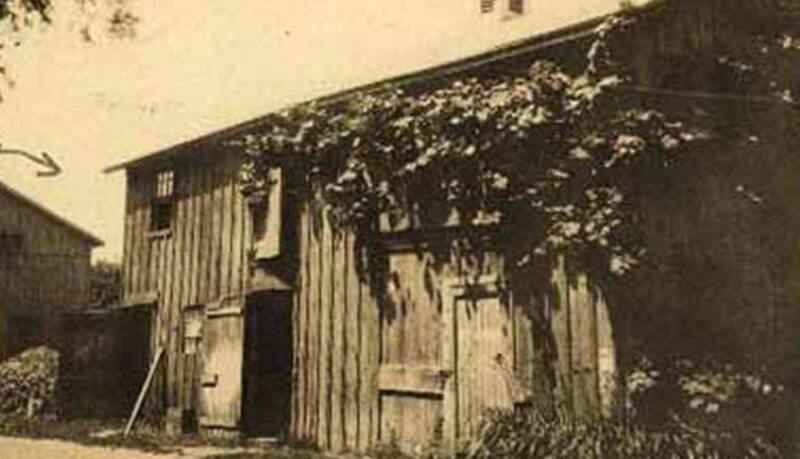 Make-shift studios were fashioned out of barns and other outbuildings. Despite their tumbled-down appearance, these reclaimed buildings provided the necessary space where the artists could store their materials, stretch canvas, prepare panels, pack paintings for shipping, and even work on days not suited for painting outdoors. One interesting feature of the summer class is the caddie system. Every girl has her caddie, who carries the pack to the chosen spot to return at a given time. Fifteen cents for the trip is the usual pay and it is not a little amusing to notice the loyalties and jealousies attaching to their respective patrons. These plein-airists, as they were sometimes called, ventured into the wilds unfettered by roof and walls. 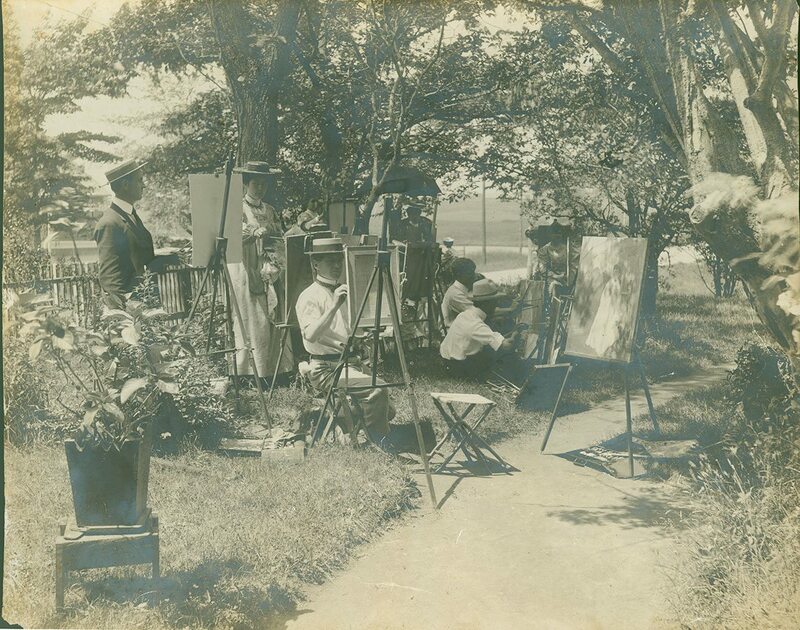 They set up painting stations outfitted with their portable easels (ingenious contraptions that unfolded to full size and could be leveled on uneven terrain), paint boxes filled with squeezable tubes of paint, tins of solvents and oil, collapsible stools, and retractable parasols. Some would bring canvas stretched over a wooden frame, others a wood panel to paint on. 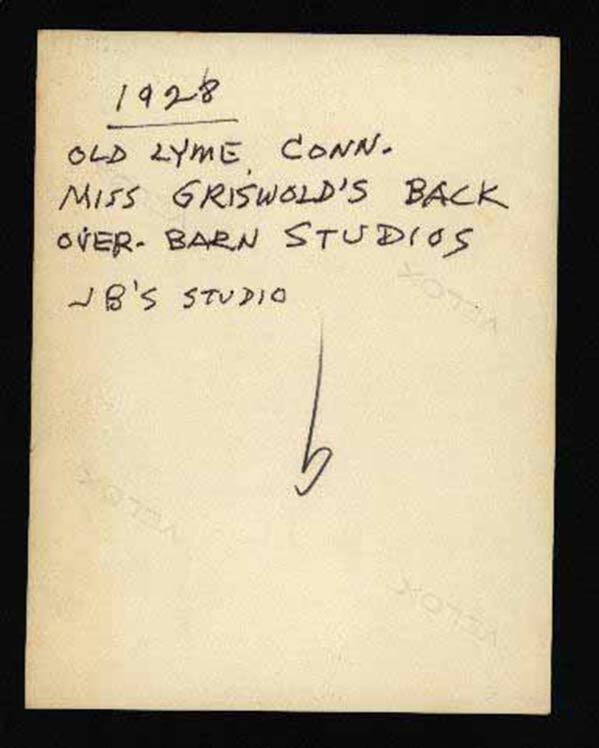 Most of the artists who came to Old Lyme also had studios in New York or elsewhere. 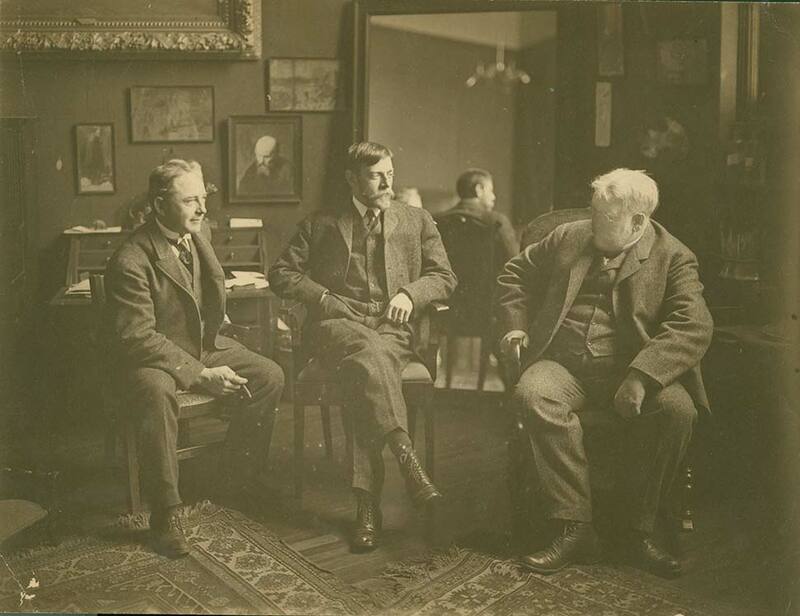 Both Henry Ward Ranger and Childe Hassam, leaders in the Lyme Art Colony, had studios in an artist co-op located on West 67th Street in New York next to Central Park. The studios had high ceilings and north-facing windows with spaces for sleeping and living. Unlike the contemporary notion of an artist’s studio, these spaces were often richly decorated, filled with carpets and domestic furniture, artistic knickknacks, and giant paintings in ornate gold frames. 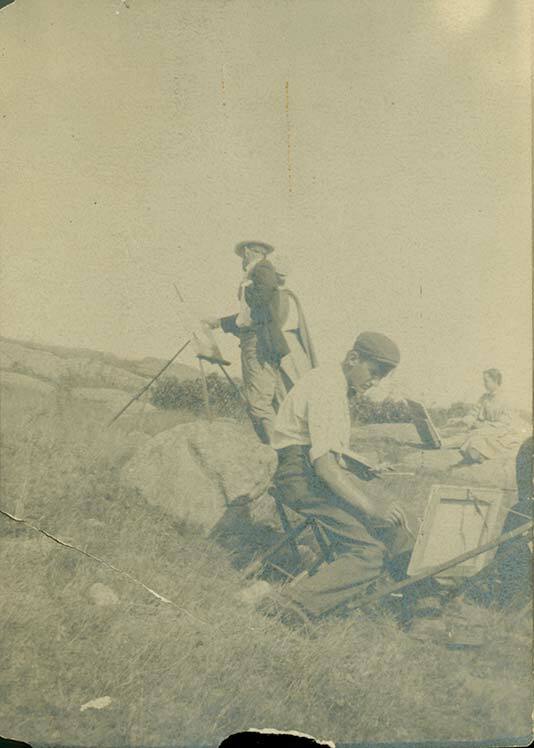 The situation was much different once the artists traveled outside the city to paint. “entirely casual affairs,” on the grounds of the Griswold boardinghouse that were crafted out of vacant barns and other outbuildings to accommodate her artistic boarders. Artists staying with Miss Florence could request studio space to use during their visit. The studio rent was as low as $5 a month. 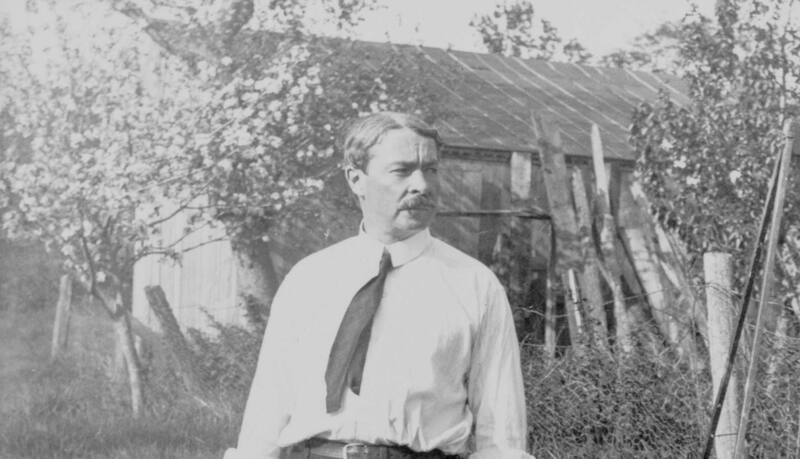 During a recent archaeological dig, the site of the studio that was often used by Childe Hassam was discovered to the northwest of the gardens. 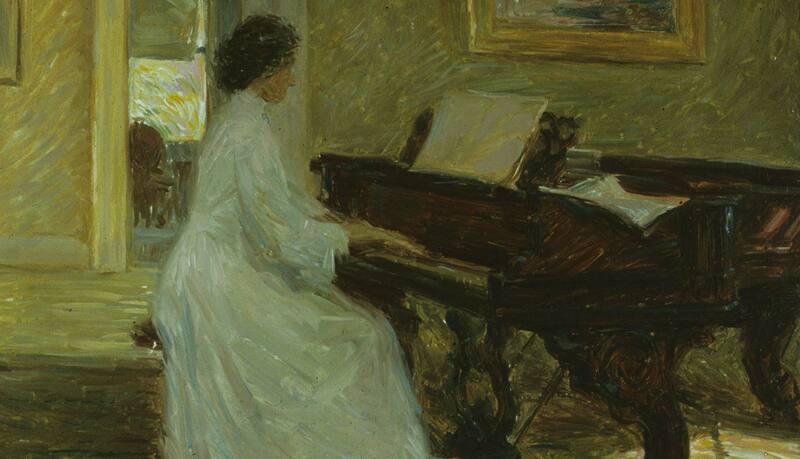 Hassam’s studio afforded views of both the river and Miss Florence’s gardens. 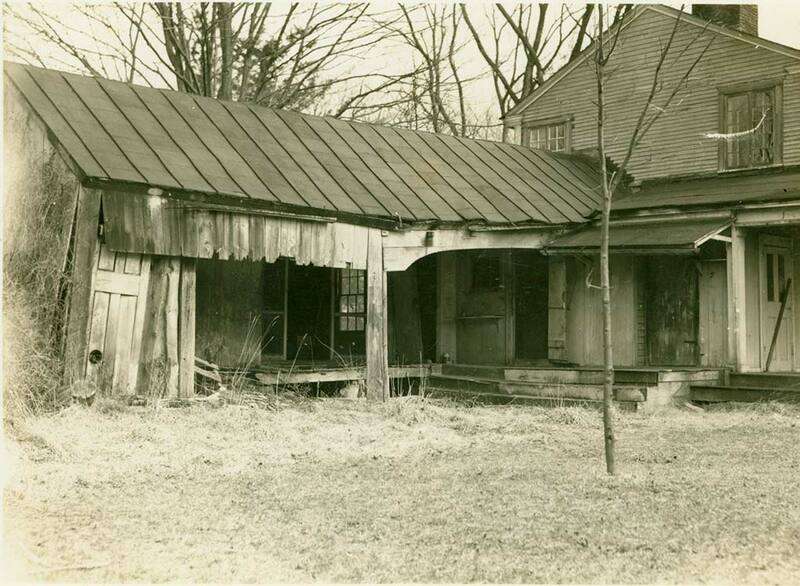 Long-term boarder William Robinson also had his own studio on the property. Today, the Hartman Education Center stands on the site of an earlier barn structure that was also used as studio space, complete with a large north-facing window. and store their materials and work comfortably at any hour of the day or night. 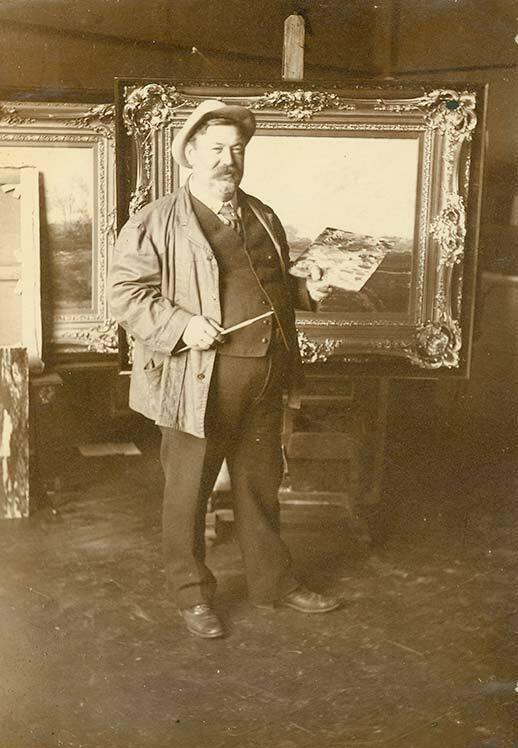 Despite the fact that the Impressionists, both in France and America, championed the notion of painting en plein air, or in the open air, most eventually returned to the controlled environment of the studio to complete a work of art, as well as to frame it or crate it. 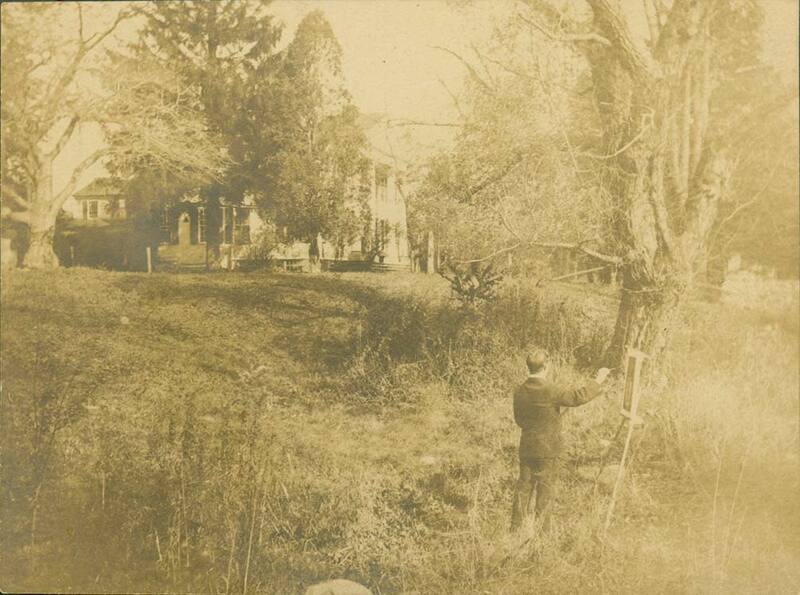 The first artists to stay in the boardinghouse worked outdoors but primarily with the intention of gathering visual information in a sketchbook or a painterly oil sketch. 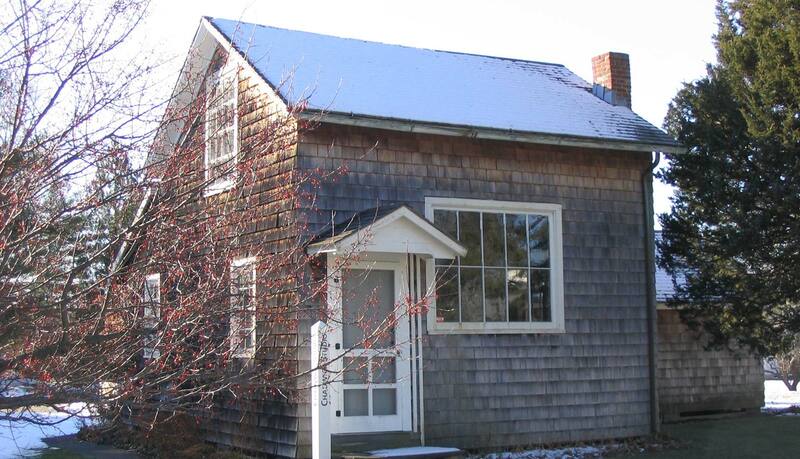 The studio of American Impressionist William Chadwick (1879-1962), a member of the Lyme Art Colony, has been preserved on the grounds of the Florence Griswold Museum. 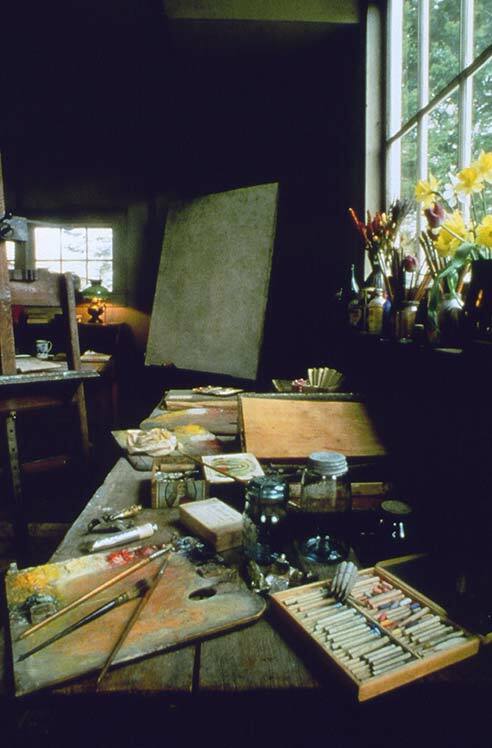 Although not original to the property (the studio was moved to its present location in 1992 from elsewhere in Old Lyme), it demonstrates how an artist might organize his creative space. The studio has three main areas: workshop, studio, and loft. Originally an icehouse, the workshop area is filled with tools, canvases, frames and shipping crates. The studio portion was made homey with an area rug, wood stove, and desk with lamp. Chadwick was known to hang a sign on the studio door that read “resting” while napping on the soft daybed. a wide workbench for mixing pigments and organizing painting tools, and a model stand set with studio props. 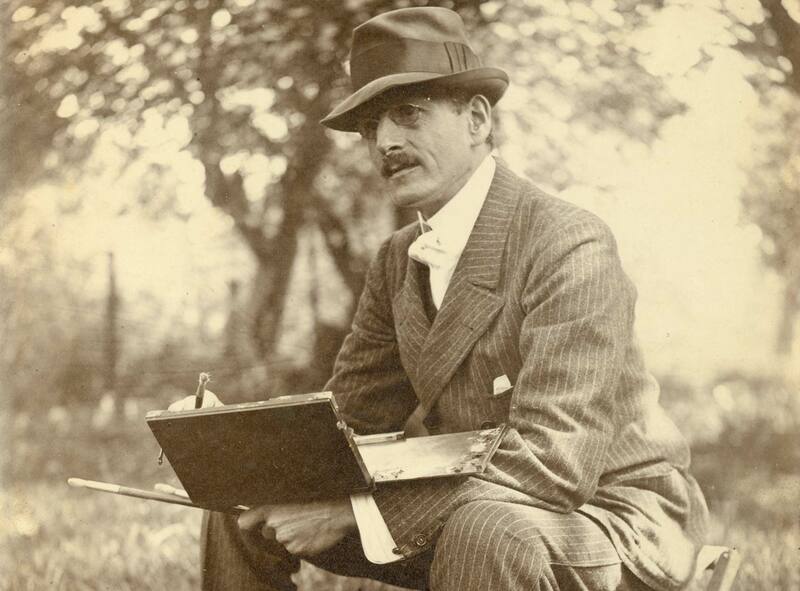 Chadwick was a talented figure painter as well as a landscapist, who worked in a high-key Impressionist style. 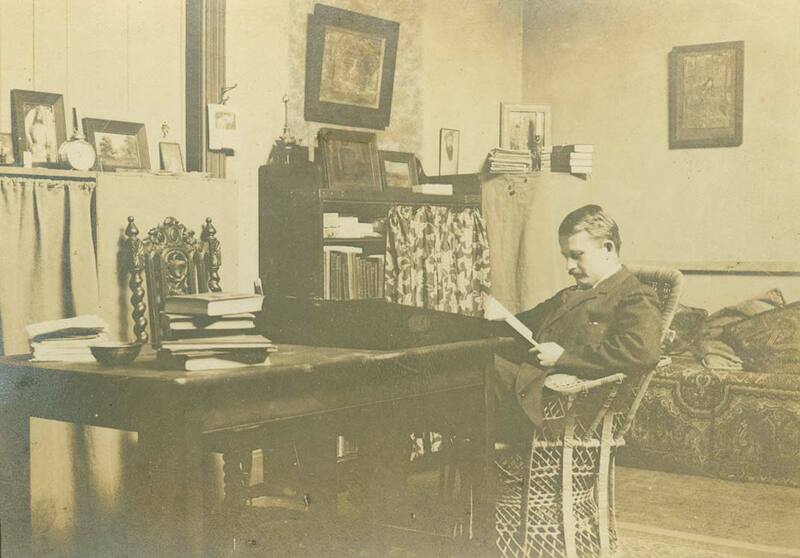 Chadwick’s easel stands in the middle of the room displaying one of several facsimiles of his paintings. At times the boardinghouse resembled a summer camp, where leisure activities filled the hours not consumed with painting, eating or sleep. Depending on the time of day or the weather, the artists would relax on the grounds or enjoy an excursion away from the property. Often, leisure activities would take place indoors, specifically in the front parlor after dinner. 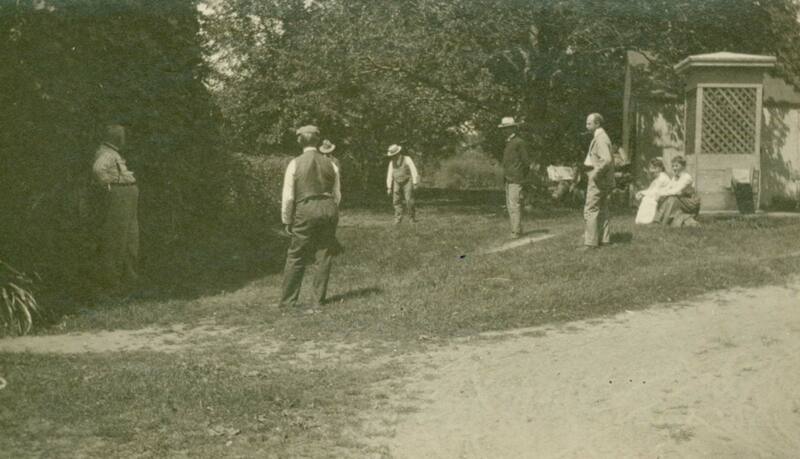 There was a horseshoe pit in full view of the side porch and the colony had its own baseball team. The boarders would also host track and field days and award medals, fashioned out of paper, at such events as the “fat man” races and shooting. 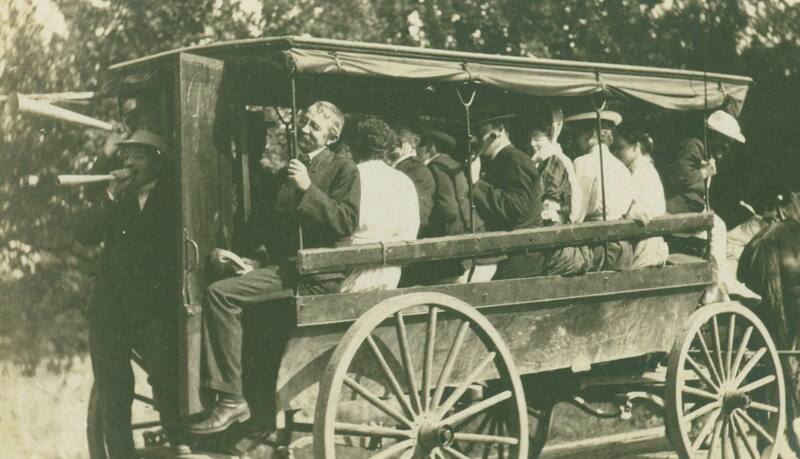 Trips to the beach aboard a wagon, or up the river by canoe were common activities. Using one of the artist’s motorboats the painters and their guests might venture up the Connecticut River and into Hamburg Cove for a moonlit summer evening picnic where they would eat sandwiches and grill chops on a campfire on the shore. However, the moon over the river was not always so innocent. artist Arthur Heming remarked that “entertainment was rarely ever planned. It just happened.” Often after supper, the guests gathered in the parlor for games and impromptu musicales. Music was an important part of the colony. 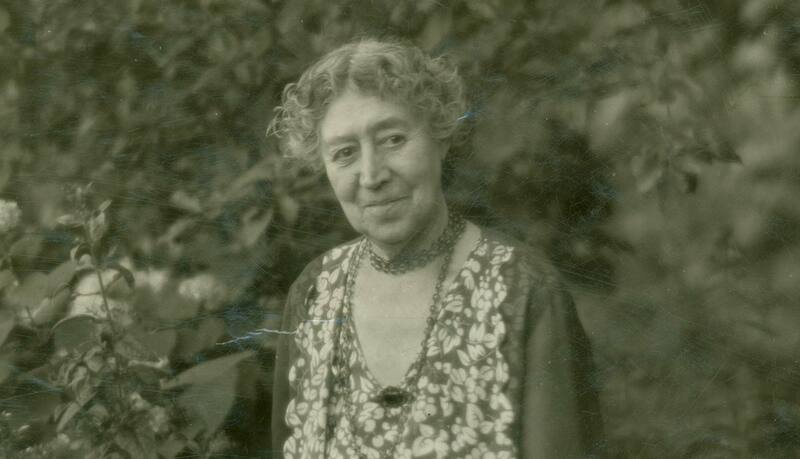 Miss Florence played the piano, artists Harry Hoffman the flute or banjo, and Lewis Cohen the mandolin. 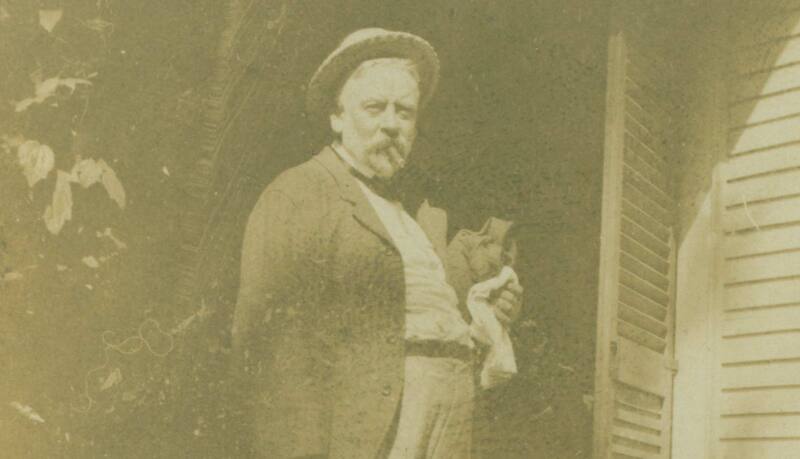 Henry Ward Ranger was an accomplished organist. 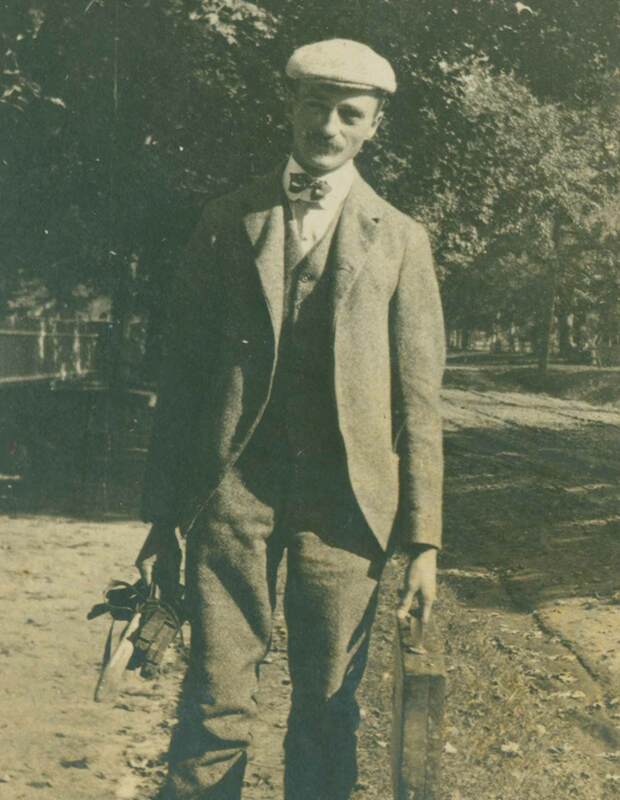 He had his organ shipped to Old Lyme from New York one season to add to these evening concerts. Unfortunately, Miss Florence’s English harp, a gift from her seafaring father, had been damaged and was not playable during the years of the art colony. Other parlor games were also popular. Card games such as poker and bridge filled these leisure hours, as did spelling bees, charades, and amateur theatrics. The artists also devised their own parlor game called the wiggle game, a creative endeavor that championed their artistic skill and clever wit. The wiggle game was played by the Lyme Art Colony artists after a long day of painting. The rules were simple. One player began by drawing several curvy lines, or wiggles, on a sheet of paper, using colored pencil. The second player would use the lines to create a funny cartoon-like drawing. This game was both entertaining and educational as it challenged the artists to use their talents and their wits. The images the artists conjured out of the random squiggles range from caricatures of the artists themselves to fictional characters such as a cowboy, debutante, farmer, and even Santa Claus. Many evenings were spent filling the famous Wiggle Book. 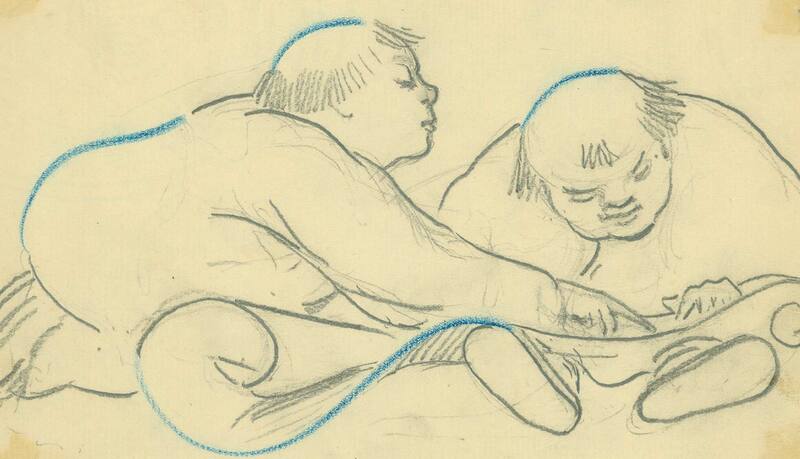 A few lines on a paper were passed about among the men, and each had to draw a sketch including those lines. 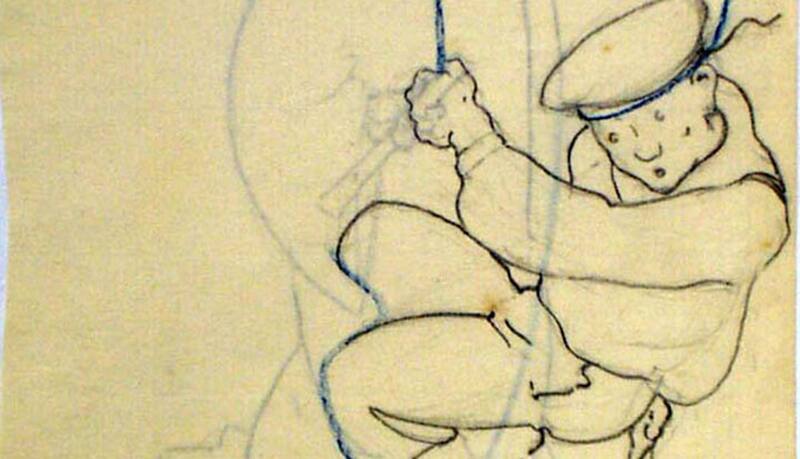 Many turned out to be real works of Art and hundreds of drawings were made. At first they were kept in a table drawer, but soon the good ones would disappear, and to save them, a book was started to paste them in, then of course it petered out, as so often happens.